If you're looking for a quick last-minute Christmas gift, a fun and functional makeup kit is always a safe bet for your favorite girls. Check out Hard Candy cosmetics holiday sets. They're all super affordable and come in special edition tins. I've tried the Contour & Sculpt collection, which includes a palette of contour colors, a blending sponge, and strobing highlighter. It makes flawless contouring easy with a diagram to show you where to contour and highlight. It also makes a cute Christmas gift. Check them out! Easy little black dresses should be staples in every wardrobe. Versatile pieces that can be worn for multiple occasions, and dressed up or down, are always the best. I recently ordered two super cute LBDs with white accents (plus a faux shearling vest!) from Tobi. Tobi is an online fashion label based in Los Angeles. Since 2007, Tobi has been designing trendy clothes that embody the cool LA vibe. Let's face it, a little Cali girl style attitude is a breath of fresh air. At Tobi, new products are added to the site every day, so the selection never gets old. The Tobi team works hard to produce products quickly in order to deliver customers with the latest fashions they crave. After being sketched out by designers, Tobi items can be purchased in as little as eight weeks. They care about being in style just as much as you do. Tobi's products are designed in LA and sold exclusively at Tobi.com. Now you have to check out these fabulous outfits I got from Tobi. LA style can be a bit edgy, and you've probably figured out that I lean toward the girly side of the style spectrum. Either way, Tobi has something for all styles. The designs are fashionable, but simple and effortless you can accessorize and make your own unique Tobi look. Both of these LBDs featured below have contrasting classy white piping on the sleeves and collars. Add some sunglasses, jewelry, and Tobi's Anka Shearling Vest and you'll be ready to go! Get Small 4 Style's Tobi look! No tickets to NYFW this week? No problem, because if you were there you'd be missing Fashion X Dallas this Thursday through Friday at Fashion Industry Gallery. Fashion, mingling, shopping and more - this is going to be an epic runway event (can you tell that I am excited?)! The fashion shows will feature a mixture of nationally-known, local, and independent designers. A lot of friends of Small 4 Style are being featured during Fashion X Dallas 2016. Just to highlight a few: Thursday night will feature Dallas style stars Steve Kemble and LeeAnne Locken. Binzario Couture will be showing their collection on the runway, and they never disappoint. Same with Ese Azenabor on Saturday. Friday night will feature looks from Vintage Martini, the fabulous and famous Dallas vintage store owned by Ken Weber. Plus, I am so pumped to see the Project Runway stars' latest collections, especially Daniel Esquivel, Chloe Dao, and Korto Momolu. 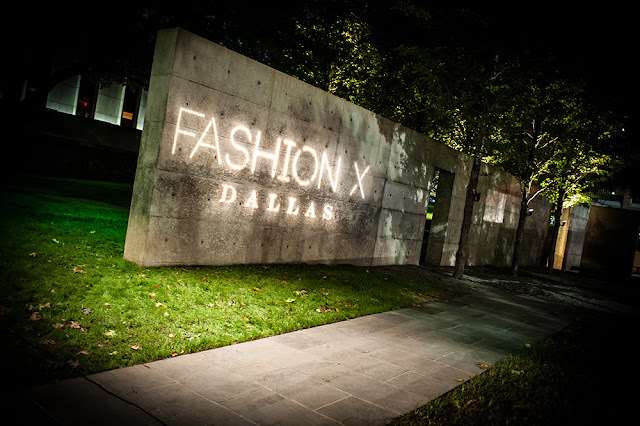 Check out the Fashion X Dallas official website for the full schedule of events and to purchase your tickets. See you on the runway at Fashion X Dallas and stay tuned for social media and blog coverage during and after the event!